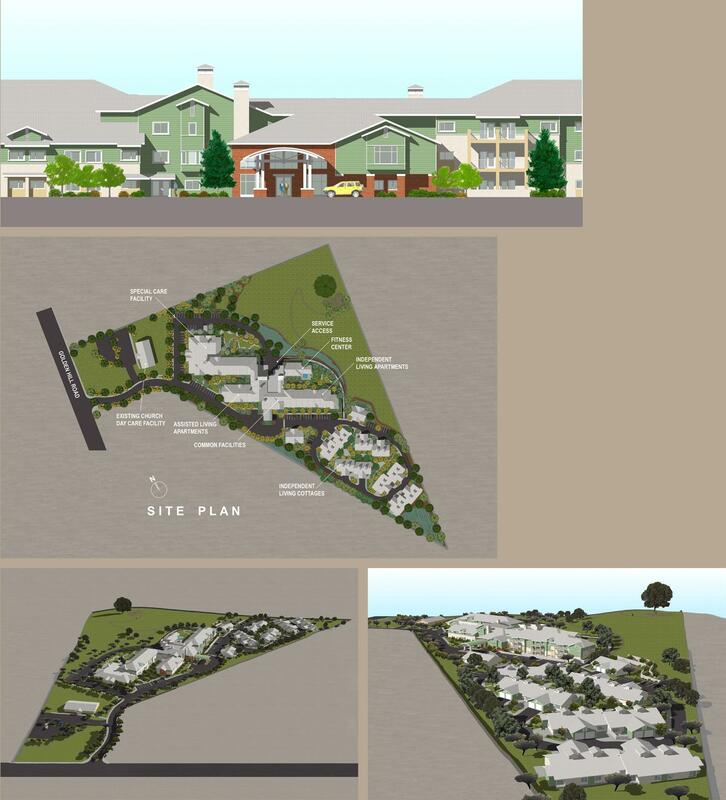 The Golden Hill Retirement Community is designed as a resort-quality community for senior residents functioning at a variety of physical capabilities and activity levels, from special care shared apartments to fully independent cottages with garages. A total of 125 units occupy a 13.5 acre site, planned to preserve much of the land in permanent open space. High-amenity common facilities include restaurant style dining, a fitness center with pool and spa, theatre, beauty/barber shop, computer center, and a coffee bistro. The project is laid out for optimum solar orientation and efficient circulation, while respecting an existing wetlands and kit fox habitat. The architecture follows the facility’s resort lodge theme, using materials and colors from a traditional, local palette. Outdoor spaces are arranged for accessibility and surveillance, and incorporate primarily native plantings.